I know, people. I know what you’re thinking. I’ve been a bit berry happy this summer. And if not with berries, I’ve certainly incorporated fresh summer fruits in just about everything that I’ve posted lately. But this post is trying to fool you! It’s not at all about the summer produce! 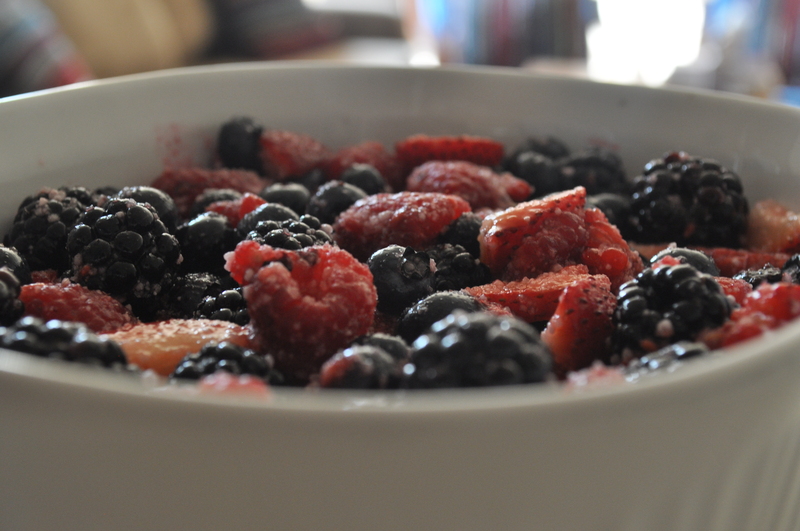 You can substitute frozen berries when they’re no longer in season. I’m letting you do that! Because this, my friends, is about the coconut flour. Coconut flour is my latest obsession. 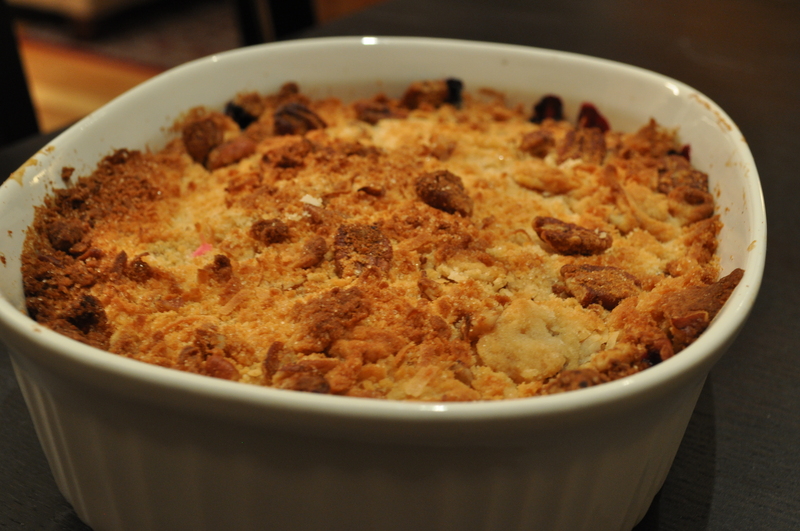 I first used it in a gluten free cake recipe, and it was divine. Ingenious, really. Because it took this plain cake and turned it into a coconut cake without the fuss of a coconut syrup, coconut extract, coconut rum or coconut custard. And that’s just plain amazing – I say this from experience. Coconut flour basically just tastes like dried up coconut, but looks like a flour and has flour-like abilities. If it had its own wikipedia page, I’d really be able to confirm what it is. 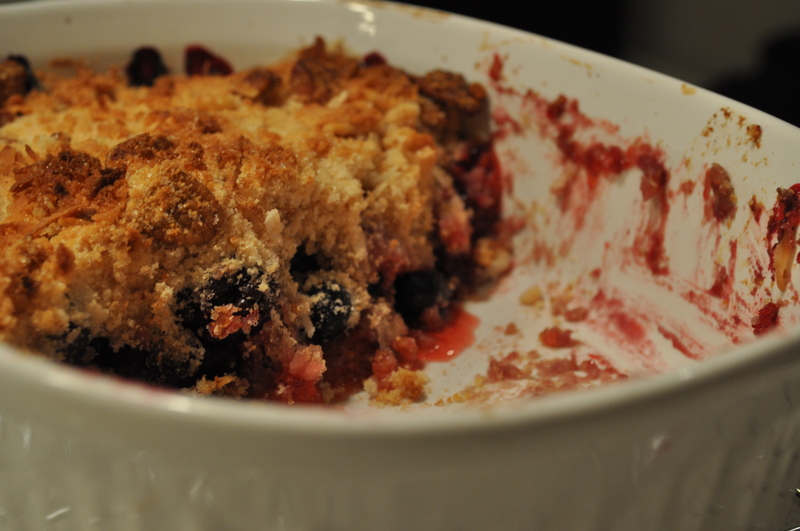 What I do know is that the coconut flour puts a slightly sweet and unique spin on the regular ol’ cobbler, which you’re probably tired of making this late in the game. So go track some down, whip it out and allow yourself to be swept away on this new-found journey with coconut flour! The possibilities are endless. 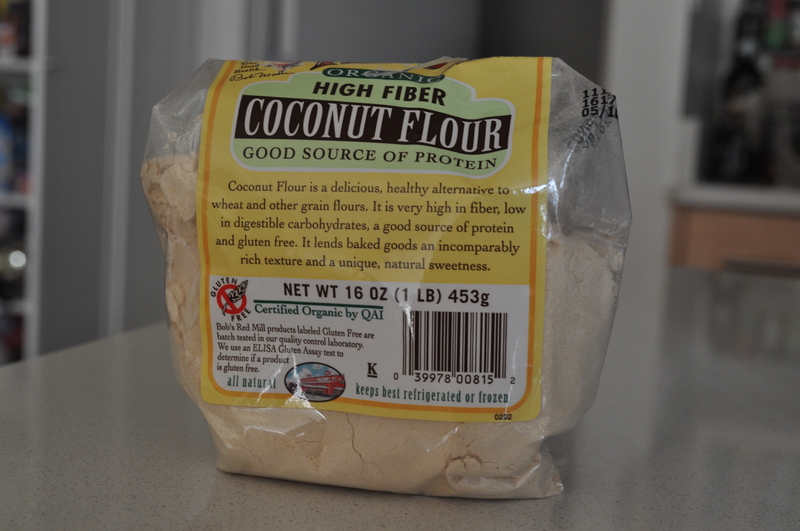 The drawback to the coconut flour is that it is expensive…and hard to find. So because I don’t really understand what it is quite yet, I suggest the following: use regular all-purpose flour to replace the coconut flour. And for the coconut, grind up shredded coconut to a powder until you have 1/4 cup. And use just the regular shredded coconut, unground, for the other 1/4 cup. And then throw in another handful of the shredded coconut for good measure. Preheat oven to 375. Mix together all of the ingredients of the filling and pour into an ungreased 8×8 or equivalent sized baking dish. To make the topping, stir together all of the dry ingredients. Add the butter and rub into the dry ingredients. Sprinkle the topping on to the filling in the prepared pan. Bake for 35 minutes until the topping has turned golden brown. Cool on wire rack for 30 minutes and then serve. Right around this time, every year, I get this sinking feeling that summer is ending. I mean, it is, obviously. But I really start to feel at the end of August: when all of the back to school sales are over because schools are actually in session; when you start to see pumpkins growing in gardens; when boots are appearing in store fronts; and saddest of all, when summer produce starts to fade away. So for the past couple of weeks, during my weekly trip to the farmers market, I’ve been trying to keep a positive attitude about the gradual disappearance of the corn and watermelon. I’m ready to get my fall flavors on, I tell myself! 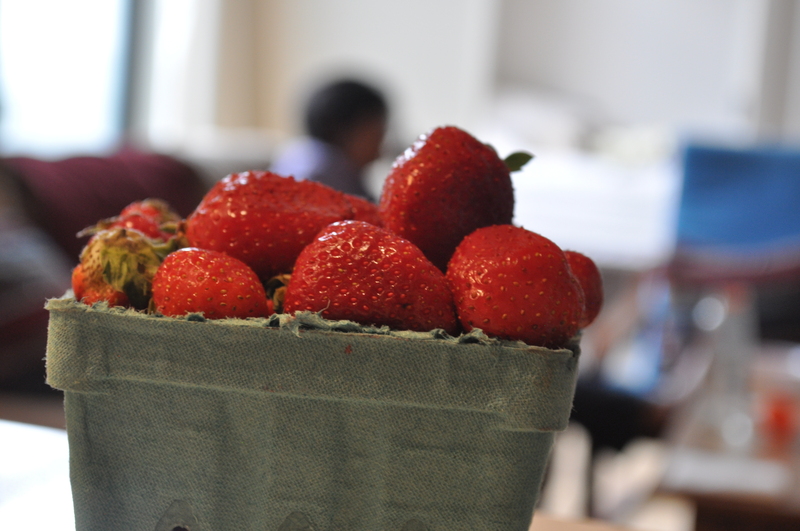 But then, last week, all of a sudden, out of the blue, the farmers market was selling strawberries! The same strawberries that typically have a season until mid June! I haven’t seen these guys since spring! 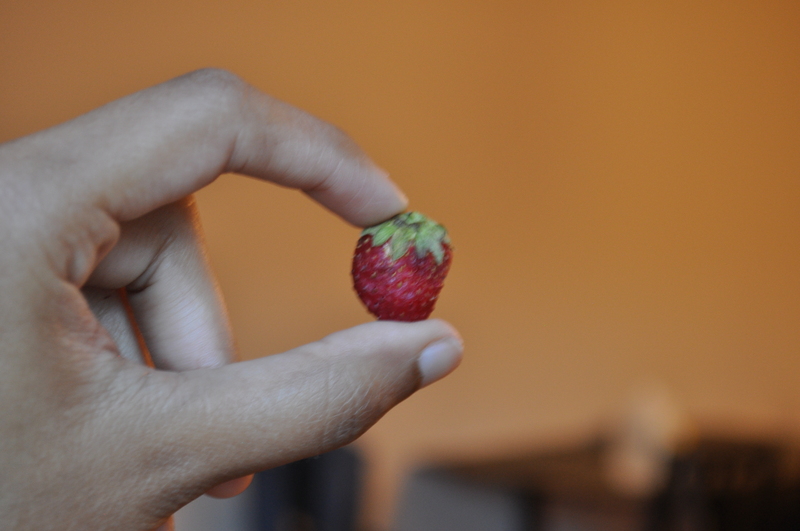 Cute, little itty bitty strawberries that just had ohh so much flavor! Best ever. What does this mean! Well, I think an argument could be made for climate change. But let’s just say that summer wants to hold on for just a bit longer. At least long enough for me to make this delicious cake. 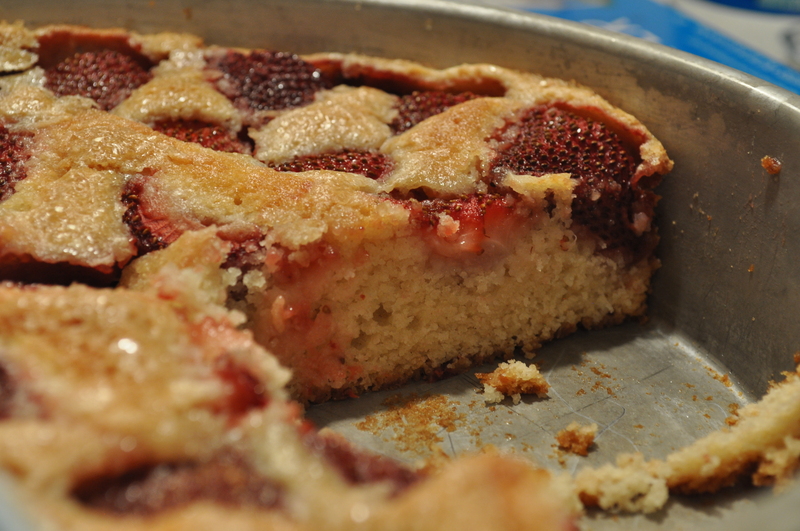 This seriously is one of my most favorite cakes: it’s simple, sweet and highlights the fruit. 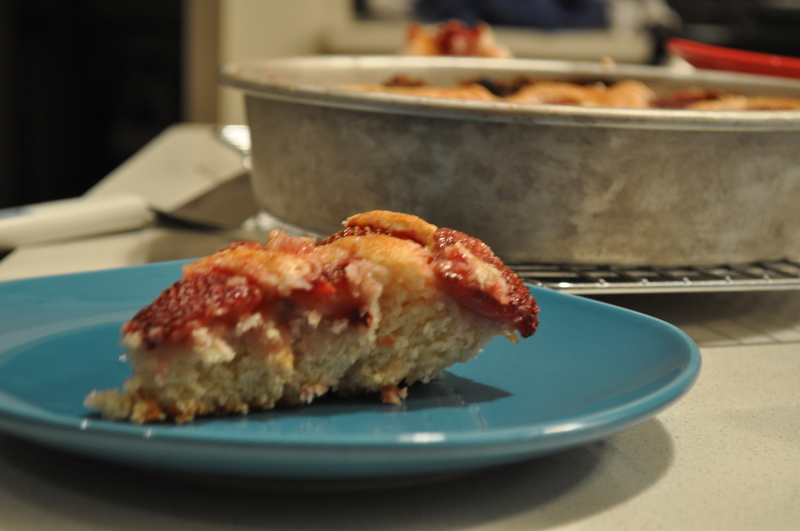 It’s delicious with strawberries, which is my fruit of choice for this cake, but really, you can use anything you want. Especially because, apparently, summer lives on. Preheat oven to 350 degrees. Butter a 9 or 10-inch pie plate. Sift together the flour, baking powder, and salt together into a bowl. Mix together milk, egg and vanilla into a separate bowl. 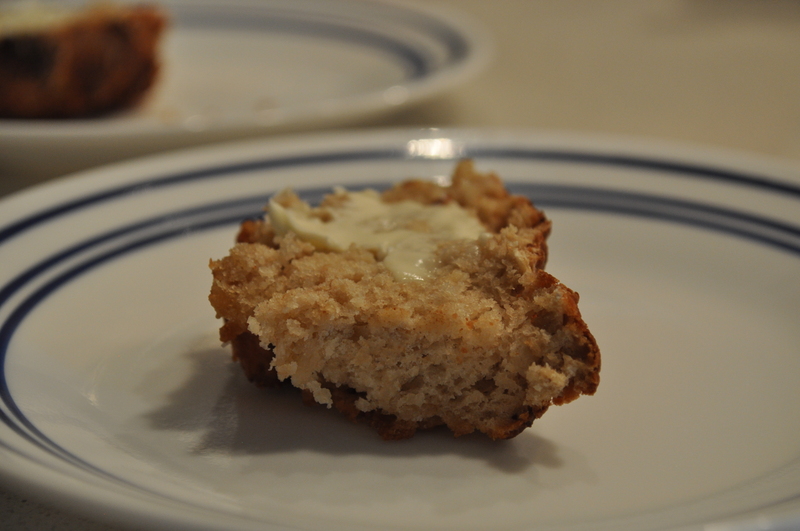 Using an electric mixer, beat together butter and 1 cup sugar for 3-4 minutes, until pale and fluffy. Reduce the speed and beat in milk and egg mixture. Reducing the speed of the mixer to low, gradually beat in the flour mixture until it’s well incorporated. You may have to use a wooden spoon at the end. Pour into the prepared pie plate. 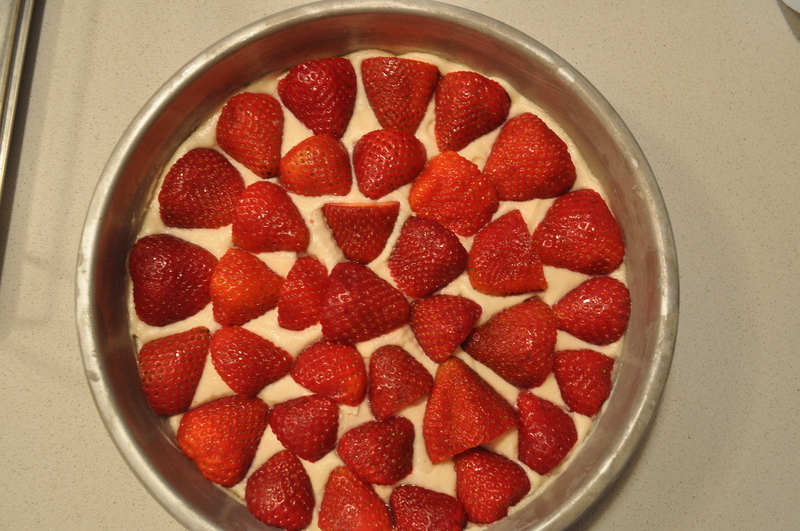 Arrange the strawberries decoratively, cut side down, on cake batter, gently pushing in the strawberries. Sprinkle the raw sugar on top of strawberries. Bake cake 10 minutes at 350 degrees. Reduce oven temperature to 325 degrees. Bake until cake is golden brown and firm to the touch, about 1 hour to 1 hour, 30 minutes. Let cool in pie plate on a wire rack. You know, there are just some recipes that I want to make as soon as I see them. This, my friends, is one of them. Saw the recipe on Tuesday, made it on Wednesday, and I’m just getting ready to make it all over again. It’s that easy, and it’s that good. This isn’t one of those intimidating yeast breads. There’s no kneading, only a 30 minute rise time (directly in the loaf pan! 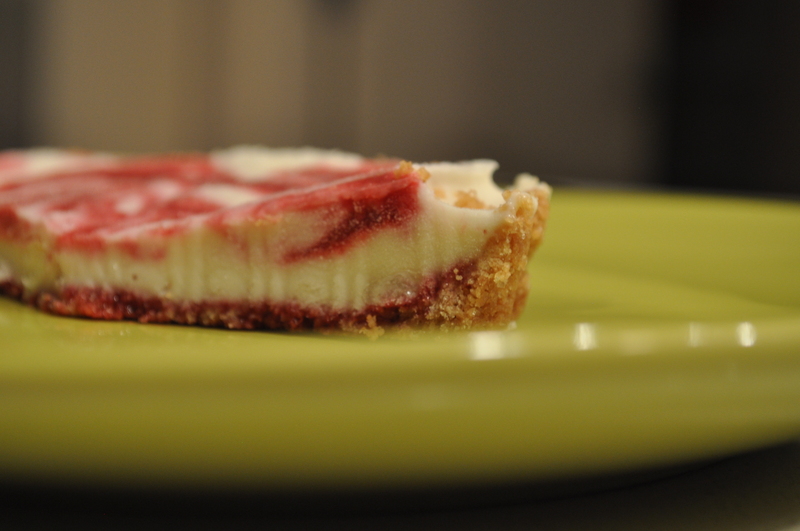 ), bake it off for 30 minutes, and ta da! You’ve got yourself some delicious bread! Start to finish time takes maybe an hour, and that’s just pretty awesome. 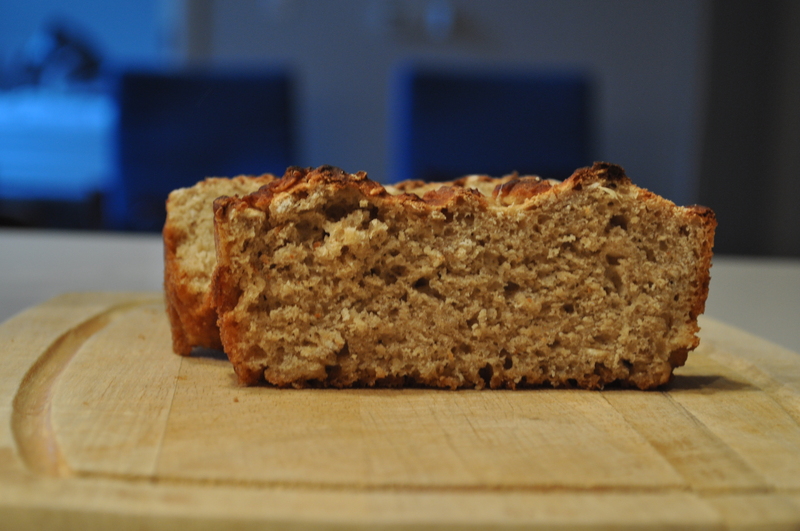 In all fairness, this won’t replace your sandwich bread, and it will be hard to toast. 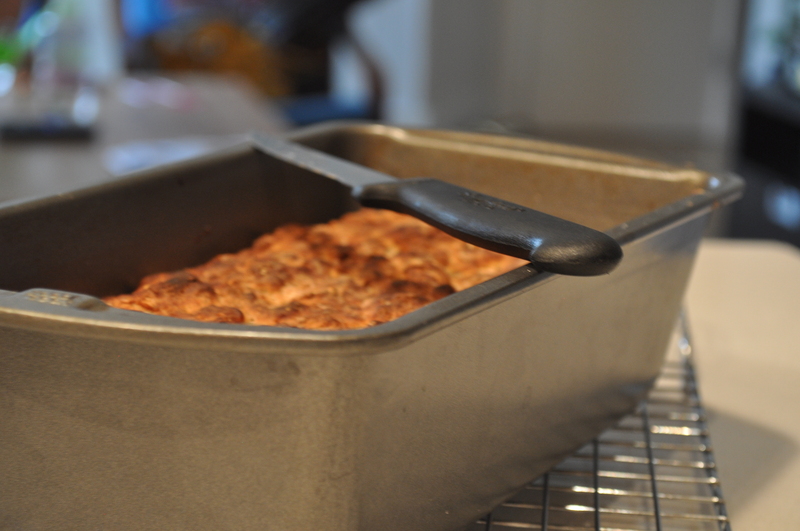 It has this soft crumbly texture that will be hard to make anything that needs a sturdy slice. But it is just screaming for some butter and jam, while it’s just coming out of the oven. A perfect staple for afternoon tea, if you do that sort of thing. If not, it’s great for breakfast too. 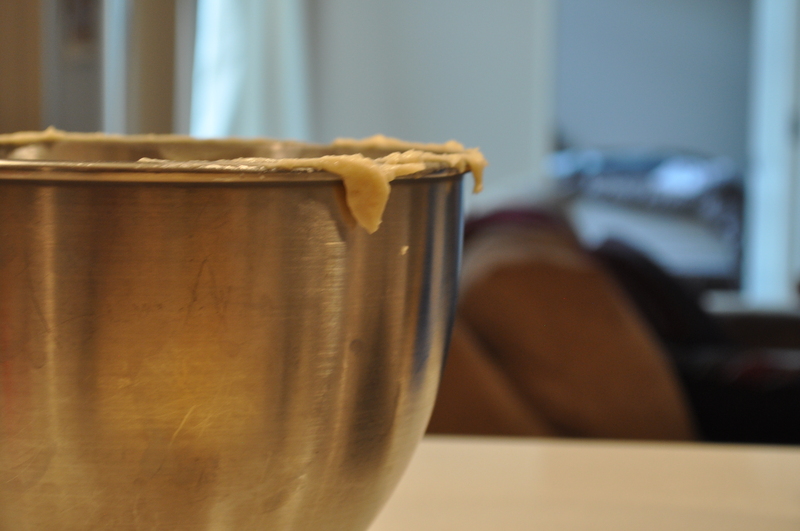 In a bowl, mix together the water and yeast until the yeast is dissolved. Add honey and stir until the honey is thoroughly mixed in. Set aside for 10 minutes. In another bowl, mix together dry ingredients. 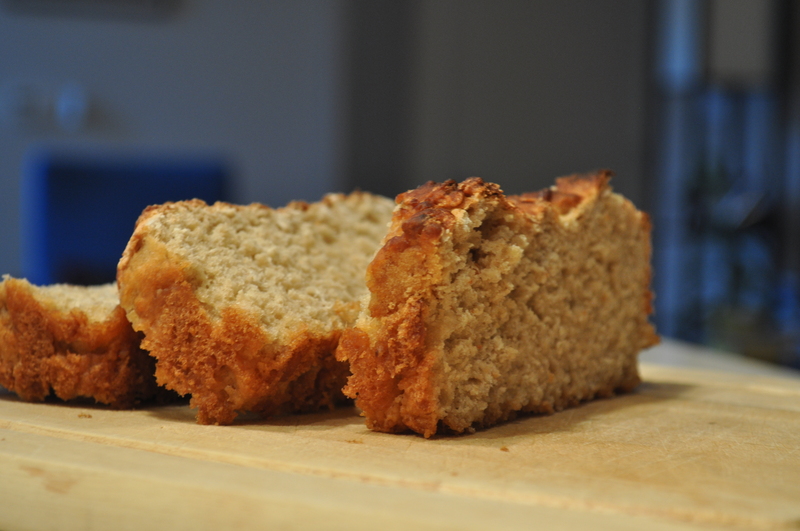 Place the butter in a loaf pan and brush generously to cover the entire surface of the pan. Mix the wet ingredients into the dry ingredients and stir until well incorporated. Scoop the dough into the prepared pan and spread to make sure that it is evenly distributed. Cover with a clean, damp cloth and set the pan in a warm place for 30 minutes. Preheat oven to 350. Bake bread for 35 minutes until baked through. Broil for 2 minutes until the top has turned a deep brown. Let cool in the pan, on a wire rack. Eat warm. Things I learned this week: 1. Avoid making cupcakes for a barbecue during a nation-wide heat wave. The frosting will surely melt, resulting in near-disaster. 2. Homemade ricotta is tasty on just about everything. If you spread it on a different thing every night, you will have dinner for a week. 3. Corn and berries make a brilliant flavor pairing. No joke. Allow me to elaborate on point number 3 specifically. Now we all know that corn is used in desserts often: corn pudding, and sweet cornbread, and even just plain sweet corn ice cream. It actually seems pretty probable to use corn in desserts – it has a natural sweetness that works easily with sugar. And it also adds a delectable smoky flavor. Mmm. But with berries! That’s the unexpected kicker that works so well with this sweet, sweet grain. It’s not so intuitive until you actually think about it: berries are sour, corn is sweet – sweet and sour is an age-long flavor combination, and ta da! Everything makes sense. The two are actually so lovely together that I may have corn on the cob with a side of raspberries at the next barbecue. Or maybe not, but that’s not the point. The point is that this ice cream works and it’s totally delicious. You should give it a whirl…or a churn! Ha. And you can! Another interesting point that I didn’t learn this week but I will share with you anyway! : I made this ice cream without an ice cream maker. It’s a tad time consuming, but not particularly difficult. Just follow the instructions found here. A couple more things: I made some extra graham cracker tart shells after making a key lime pie last week, so I filled the ice cream in there. Delicious, and super easy to serve, but obviously not necessary. I’m adding the directions below if you choose to make it. Also, you can swirl the berry sauce into the ice cream while it’s freezing, as indicated below, or you can always just serve it on top of the scoops. Different methods, same delicious taste. A final note: I thought that an extra boost of corn flavor would be necessary, so I added some leftover corn kernels into the ice cream. First of all, that was not true because the ice cream had tons of corn flavor. But second of all, and more importantly, the corn added a not-so-pleasant crunch. Bottom line: don’t do it. Preheat oven to 350. Mix together all of the ingredients until well incorporated. Press on the bottom and up the sides of either 4 mini tart pans, or 1 9 inch tart pan until it the crust is spread evenly. Bake for 10 minutes and allow to cool completely. In a small bowl, mix together corn starch and 2 tbsp. milk until well incorporated. Set aside. 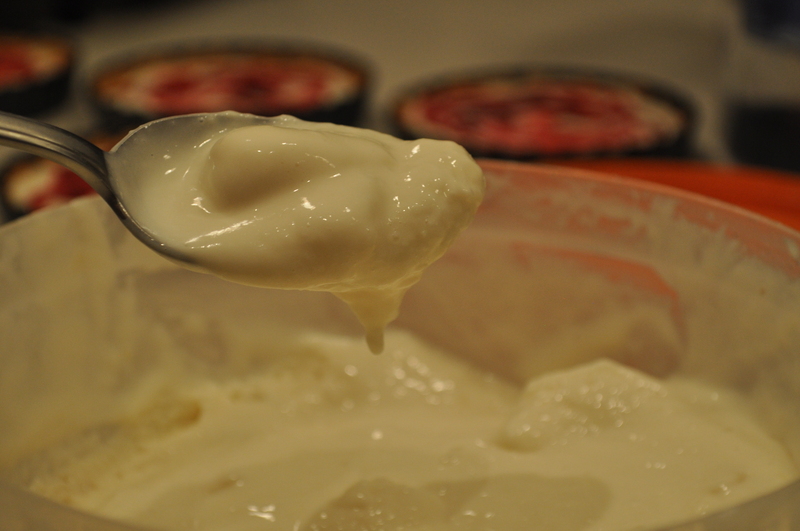 In another small bowl, whisk together the cream cheese and salt. Set aside. Prepare an ice bath – fill a large bowl half way with ice. Have a smaller bowl ready with a strainer. Slice the kernels from the cob, making sure that all of the juice is also extracted from the cob. In a large pot, combine the 2 cups of milk, heavy cream, corn kernels and the cob, sugar and honey over medium high heat. Allow it to come up to a boil and let it boil for 5 minutes. Discard the cob and strain the mixture into the prepared bowl, making sure that you press down on the corn to extract the flavor and juices. Pour the mixture back into the pot. Over medium high heat, slowly whisk in the corn starch mixture until it is full incorporated. Allow it to come to a boil and let boil for 1 minute. Turn the heat off and whisk in the cream cheese mixture until fully incorporated. Pour the mixture back into bowl and let it sit on top of the ice in the ice bath. Stir occasionally until the mixture has become cold – about 45 minutes. Follow the instructions in the link above to make the ice cream without an ice cream machine. If you have a machine, follow the instructions to churn into ice cream. Combine everything in a small pot. Stirring occasionally, boil for about 7-8 minutes. Strain into a bowl, pressing the berries to extract the flavor and juice. Refrigerate until cold. 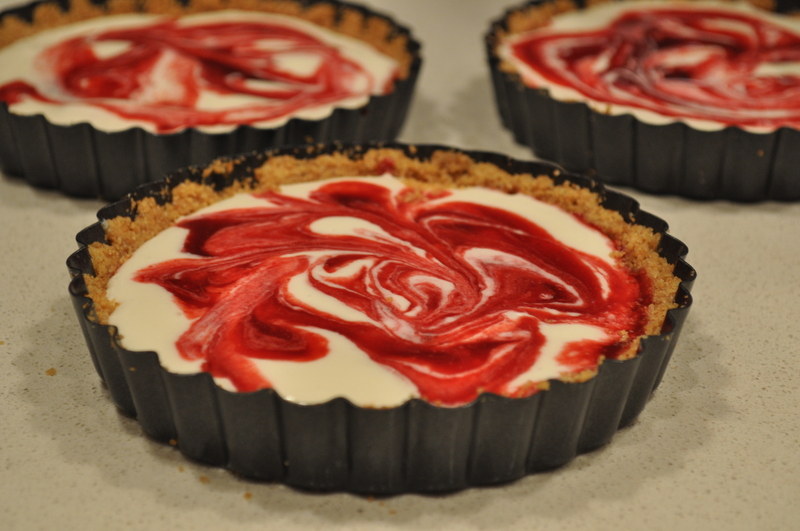 To make tarts: Place a spoon full of berry sauce on the bottom of a tart shell, until the bottom is completely covered. 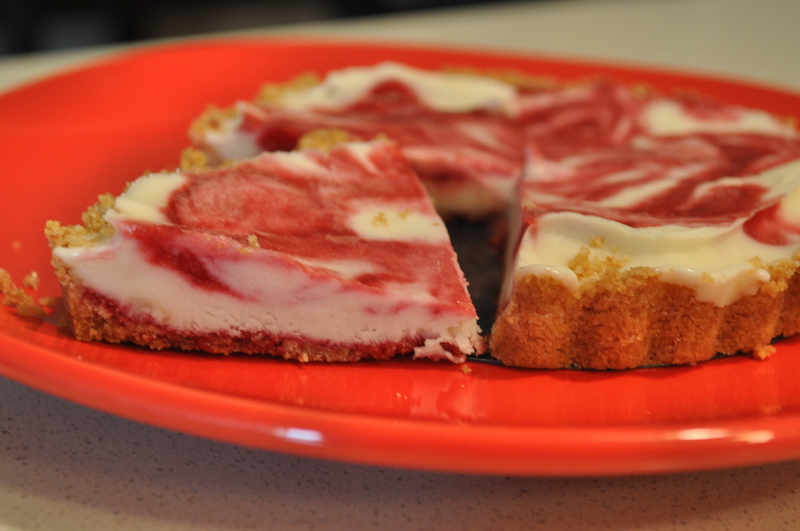 Spread the ice cream on top, and fill to the top of the tart shell. Spoon some more berry sauce directly into the center of the tart, on top of the ice cream. Using a butter knife, swirl the berry sauce into the ice cream. Wrap with plastic wrap and freeze until firm. To make a berry swirl, pack the ice cream into quart size containers. 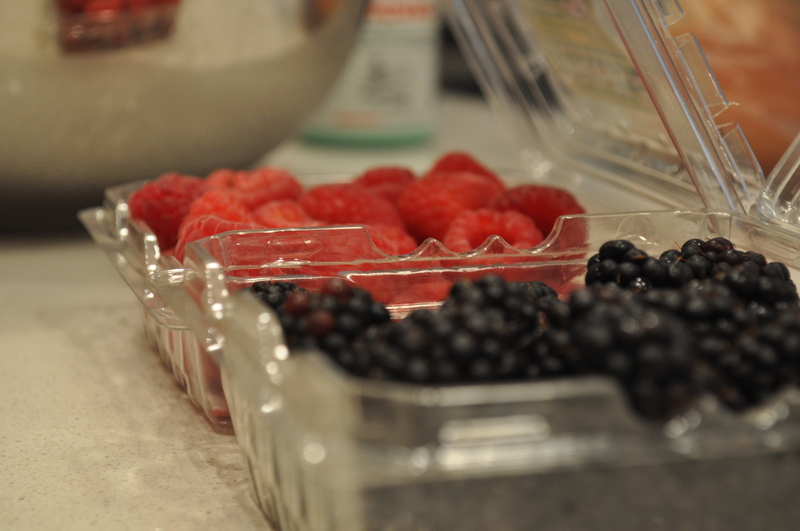 Layer into container, alternating between ice cream and berry sauce. Freeze until firm.